Before I dive into this show, let me just give you a hint of my thoughts – I stopped the show halfway through the 3rd episode. I made it through two Michael Bay movies and a Power Rangers-esque series, but this show is the one I couldn’t watch anymore. Rise of the TMNT is Nickelodeon’s second series, going back to traditional animation, and I can’t tell you how glad I am to see it return to that format. The animation in this show is so crazy and smooth, it really is the best part of it. It’s got a real anime vibe like Teen Titans before it, and is just straight up gorgeous. The second thing you’ll notice is the changes to the Turtles’ look. Like the Next Mutation, the Turtles are definitely not blood brothers. In fact, they’re not even the same breed of turtle. 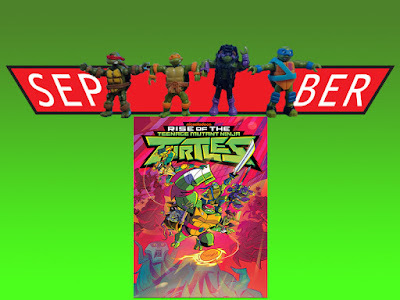 Raph is a spike-covered snapping turtle; Donnie is a soft-shell turtle and wears a backpack to protect him; Leo is a red-eared slider like what the turtles were originally based on; and Mikey is a box turtle. While Raph is a hulking brute, the others being closer to their original sizes. All the small ones end in O, I guess. For some reason I don’t understand, they’ve made Raph the leader of the group. Well, okay, I’m sure it’s because he’s the most popular, but it’s a change that doesn’t offer anything to the team, because now Leo is treated as the rebellious one and team jokester. Donnie and Mikey don’t get much of a change besides Mikey becoming an artist, a trait I’m surprised hadn’t been assigned to a turtle before. The biggest problem for me about their new portrayals though is that I can barely tell them apart. Sure they look different, but all of them sound the same voice actor-wise, and they’re all spouting so many jokes all the time that their practically indistinguishable. If I was just listening to the show, I might be able to pick out Raph, but that’s it. Lastly, the turtles receive new weapons. This series takes a huge turn into the mystical, including the Turtles replacing their tried-and-true ninja weapons with some magical implements. Raph changes his sais for tonfas which amplify his strength, Leo’s got one big sword now which opens portals, and Mikey has a magic yoyo thing that has a fire spirit living in it. Donnie refuses to replace his trusty bo, having upgraded it with all sorts of powerful devices. The Turtles aren’t the only ones to change though – April O’Neal is now a black girl working at a Chuck E. Cheese-type pizza place. Honestly, I don’t care that much about this though as her job hasn’t even been that integral as long as she's still hostage bait, and if the Turtles can be different breeds, surely she can be a different race as well. We’re not done with the changes yet – the format of the show itself has changed, adopting the two 11-minute episode plan which is so popular among cartoons these days – even Transformers has started using it in their Cyberverse series. I don’t understand why that has become so common, but I can only imagine producers think the kids of this day have so little attention span a 22-minute episode is too long for them to process. It’s such an unnecessary thing considering other fantastic shows don’t need to split their episodes up to tell interesting stories. The biggest change for me though, the one that had me turning off the show, is the enemies they face. The premier episode introduces this big bad that wants to mutate everything in New York, Draco something, I can’t remember. But every episode following that have new enemies they fight. Two of them look like they could be Foot Clan so maybe they’ll show up again later, but when one episode introduced a talking caterpillar newscaster, I just couldn’t keep watching. 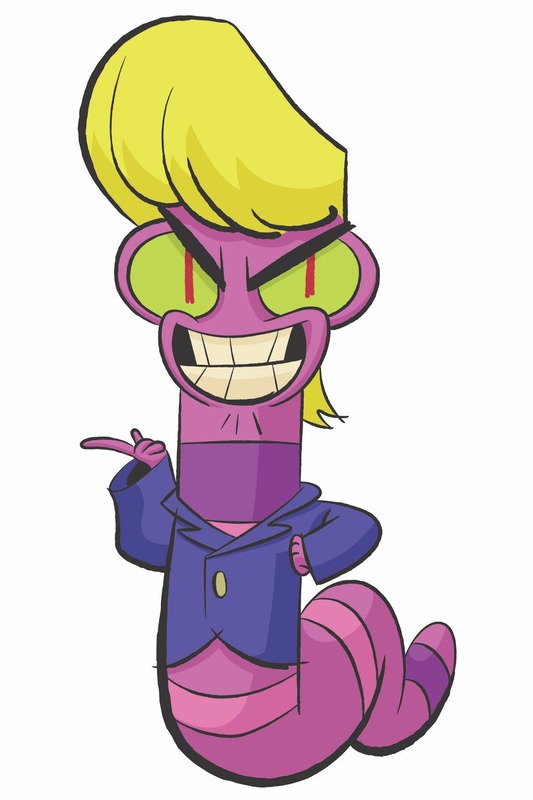 Maybe if it was a human-sized caterpillar, mutated to look like a person, I could understand it, but he was just a caterpillar with glasses and John Michael Higgins’s voice. And that’s it – I’ve gone over every iteration of the Teenage Mutant Ninja Turtles that has reached film or television. There have been some wonderful shows and those that were lacking, some incredible feats on the Silver Screen and a few less-than-stellar offerings. Teenage Mutant Ninja Turtles has certainly withstood the test of time, remaining one of the most popular and bankable properties to crawl its way out of the ‘80s where so many others had perished. I have no doubt that the Turtles will continue to flourish – no matter what gets thrown at us, we’ll love it, as long as we get Leonardo, Raphael, Donatello, Michelangelo, and a hottie named April O’Neil. Thank you so much for joining me for this trip through the Turtles’ history. It’s easily one of my absolutely favorite properties if you couldn't tell. It was a real labor of love to go through each series, and if you're interested in going back through them with me, click on the following links. Bonus! Rank 'Em Teenage Mutant Ninja Turtles with Rediscover the 80s!